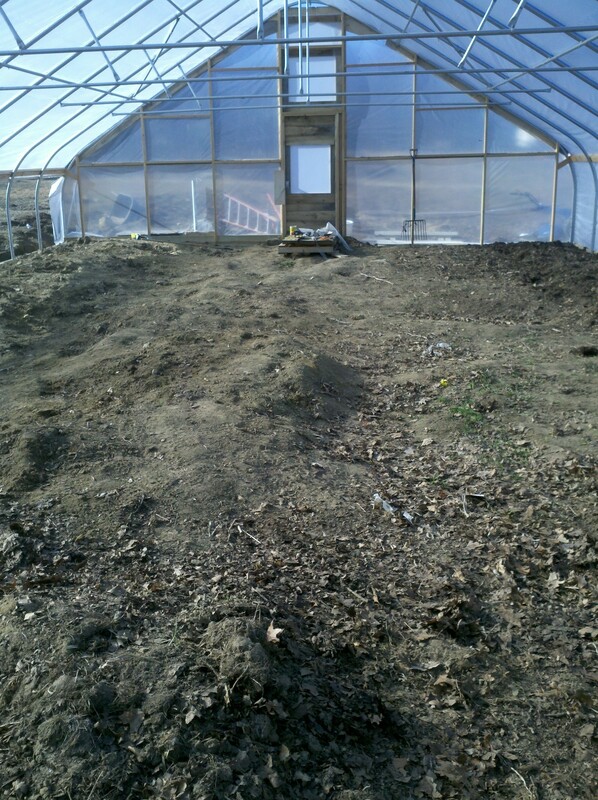 This month started with the need to get the new hoophouse planted. 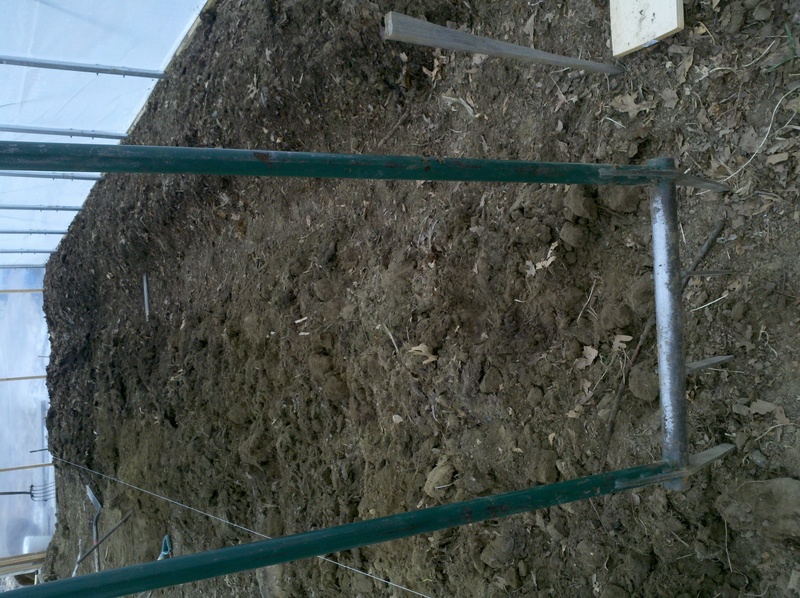 But working in there all winter meant the soil got packed down really hard. Within a week, we had a few friends out, and the beds get prepped and planted. 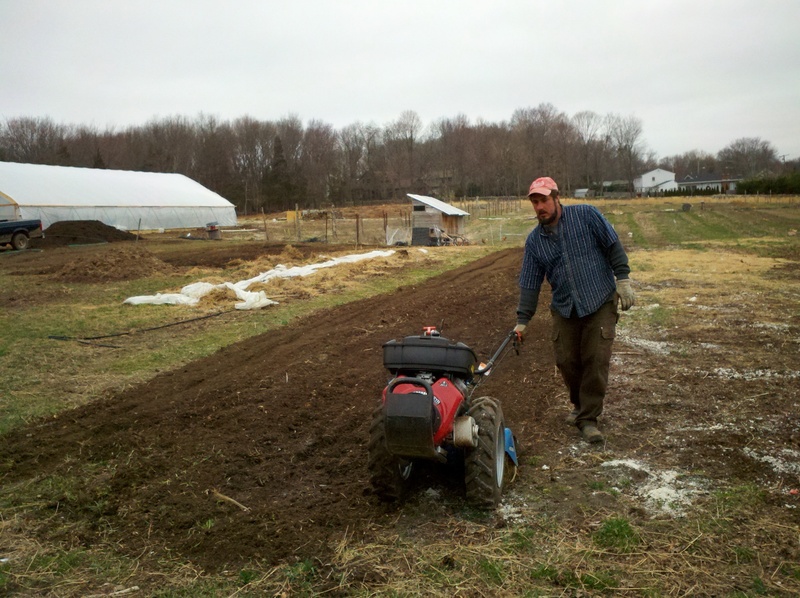 With all the warm weather we’ve had, Matt was ready to get the tiller out. We’ve got our compost, our chicken manure, and a truckload of lime. We are ready for spring! 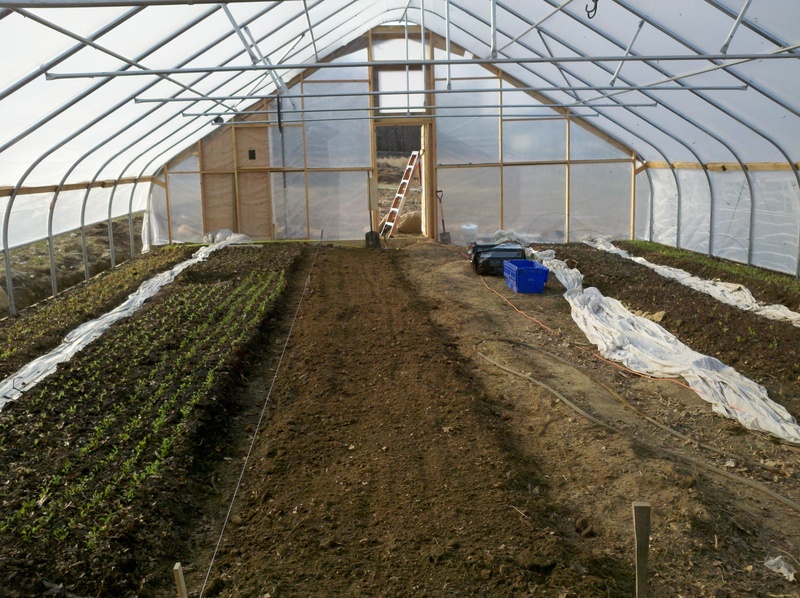 Early Spring CSA members! Don’t forget the first pickup this monday from 4 to 6! ← arugula in the egg cooler!